A former member of the House of Representatives, Mr West Idahosa, says the National Assembly’s message to the Executive and specifically, President Muhammadu Buhari, is clear. According to him, the lawmakers have the power to commence his impeachment process if he fails to comply with their resolutions – a situation which he says the President should be worried about. “When the President has been asked to comply with certain decisions of the National Assembly, otherwise they will invoke their constitutional power, it’s a very clear message and what is the constitutional power that the National Assembly can invoke at a time like this? They can, of course, begin the impeachment process of Mr President and hope they secure the required 2/3rd in parliament to get him out of office. At an emergency joint session held earlier on Tuesday, the National Assembly had reaffirmed its vote of no confidence on the Inspector-General of Police Ibrahim Idris, and warned the President over the “systematic harassment and humiliation by the Executive of perceived political opponents”. Furthermore, it vowed to go tougher in checking the powers of the President and threatened to exercise its constitutional powers if nothing is done to address the resolutions. 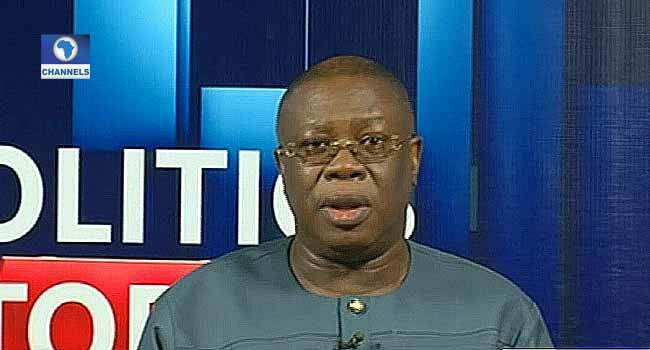 Idahosa defended the lawmakers, saying that the development is really not about the National Assembly but rather about the threats to the institutions of government. According to him, several resolutions have been passed in the past with little or no action taken on them – a situation which he believes must stop. “It is sad that many serious resolutions have been passed and nothing has been done about it, so it’s not just about the National Assembly, it’s about the threats to the institutions of government and we must not allow this to happen. “The best thing to do is to reach a consensus, respect each arm of government and ensure that there is justice and equity for the Nigerian people,” he said.